North East Scottish Conservative Peter Chapman has written to Michael Matheson following his comments about Aberdeen Roads Ltd. The Scottish Government is in dispute with the consortium over rising costs above the agreed contract price of £745 million. However, Mr Chapman said the public nature of the Transport Secretary’s comments was of concern. 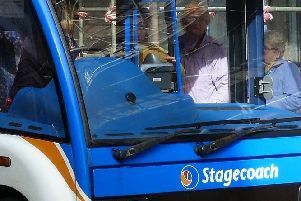 He added: “This will set alarm bells ringing among local residents and businesses that we could yet see further delays. “I have now written to Mr Matheson seeking clarity on several points. In particular, the North-east public have a right to know when they can expect this road to be fully completed. “The government should also provide reassurances that no corners will be cut and that this project will be completed as promised, in line with best practice and best value for the taxpayer. Mr Matheson confirmed survey work and safety checks will be carried out on the Don Crossing - the last section to open - over the next week. He said: “However, we continue to await Aberdeen Roads Limited (ARL) management providing the necessary technical assurances required to allow the road to open. 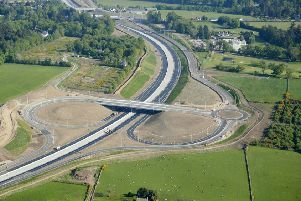 “Transport Scotland continues to work constructively with ARL but I have been very clear and consistent that under no circumstances will the final section open until our technical experts are satisfied the public purse is protected. The road was due to be fully open last month.